Curious about the role of worship pastor? 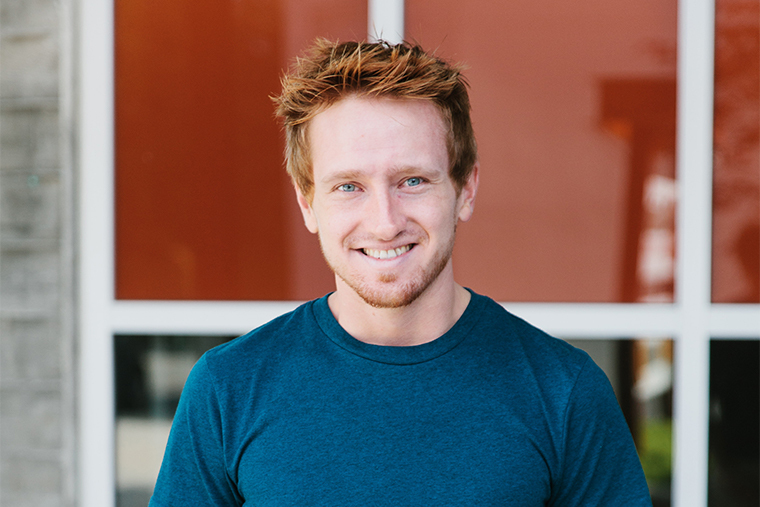 Jonathan Giesbrecht graduated from Columbia Bible College in 2014 with a BA in Biblical Studies. Today he’s a Pastor of Worship at Northview Community Church in Abbotsford, BC. We asked him what his vocation involves and for his best advice for young adults considering worship ministry as a profession. Currently, I serve as a Pastor of Worship at Northview Community Church. My job is largely overseeing our department team and facilitating/leading worship in our main service. Typically my work week involves lots of meetings, with fellow pastors, interns, support staff and volunteers, lots of administrative work – coordinating and scheduling teams and services, it involves directly overseeing support staff – showing up at youth band and kids band events and coaching them in their leadership, and then leading rehearsals and services for weekends and other special events. I’m currently working on an MBA from Abilene Christian University. Largely by accident. My wife and I had begun attending Northview while I was in my 2nd year at CBC. My 3rd year required an internship and Northview has a really great internship program. I signed up, and they couldn’t get rid of me since! In all honesty, though, the right doors opened at the right times and it resulted in me being where I am today. I dislike the phrase “God-thing” as it implies that other things are somehow not His design, but my being here truly was orchestrated by God. I feel called to serve the Lord with my life. My purpose is his glorification. These things can be done in any occupation, but I do feel that in this season, I have been given a gift both in leadership and in music, and I feel God’s desire is for me to use them in some capacity. Again, this doesn’t mean I need to be a worship pastor to fulfill this calling, but these are gifts I’ve been given that happen to line up strongly to a specific occupation. How can someone tell if being a worship pastor is a good fit for them? Well, obviously the first question is do you like leading worship. If that’s a “no” I’d probably not recommend it! But for those who enjoy music and leading worship, the biggest and most obvious way for someone to tell if they should consider being a worship pastor is if people you trust and people in your church leadership suggest it might be a good fit. Trust the people who will be honest with you; those who know what being a pastor and being a worship leader is all about. Ask them to be brutally honest with you – “do you think I should actually pursue something like being a worship pastor?” Seek the cold hard truth about your abilities, your leadership your skills and even your theology/spiritual walk – you’re a pastor too, not just a musician. Columbia’s worship arts department is heavily focused on worship theology, and that is something that so few worship leaders and pastors really understand. Hermeneutics skills I learned not only helped me understand the Bible, but it also helped me to better understand theology presented in songs. I feel equipped to analyze and pick apart the theology of a song because of my time at CBC – and the words we sing matter. They form our understanding of who God is and who we are in relation to God. Good hermeneutical skills are critical for a good worship pastor. The best part of my job is seeing young people step into leadership roles, for sure! The greatest, most fulfilling experience for me, is seeing a youth kid who hardly had the confidence to sing and play in front of a few, lead worship in front of a thousand, and do it with such skill and confidence. What advice do you have for our students who are considering becoming worship pastors? Columbia Bible College offers a two-year Diploma in Worship Arts, a four-year BA in Worship Arts, and a Minor in Worship Arts. All students – regardless of program – are welcome to audition for and get involved in Columbia’s worship teams.